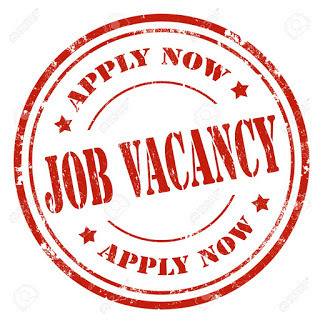 Bincom ICT Solutions Limited IT Project Assistant Job Vacancy. Bincom ICT Solutions Limited which is headquartered in Lagos, Nigeria is a fast growing ICT solutions and consulting firm which their main goal is to make perfect use of technology to solve numerous difficult issues globally. Bincom needs passionate and qualified persons for an immediate employment as an IT Project Assistant in their organization. If you meet their requirements, please do not hesitate to follow the below procedures and apply. Good Luck! We are looking for Information Technology (IT) Intern + Project Assistant to work with our software development team. Important Note: This is a short term paid internship ( 6 months - 1 year contract) position. Suitable for industrial attachment (minimum 6 months), NYSC, Fresh Graduates and Trainees. 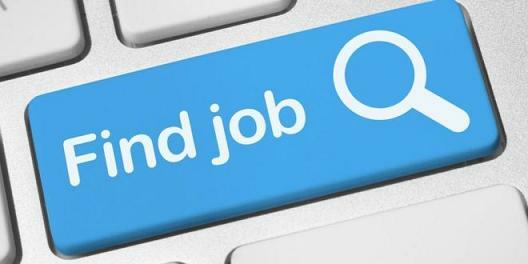 The ideal candidate will need to assist to deliver effective, highly competent project support and consistently deliver in a person-centered environment which promotes positive relationships. Note: As part of your cover letter, you must answer the following question: Develop a high level proposal for a mobile app that you beliefe has/will change the world. Hint:Use any technology product that already exist. (Use Power Point or Similar). Pruvia Integrated Limited Visa Processing Officer Job. Pruvia Integrated - This is a Lagos based organization which plays a key role in Real Estate management. He/She must work within strict timelines and communicate with authorities and the client consistently via email or telephone. Clients must be treated individually and the process tailored to suit them. The Visa Processing Officer must have a strong understanding of Visa Procurement as well as any related legislation. The Visa Processing Officer is responsible for helping individuals who are going to study abroad secure Visa. Their main role is to ensure the client avoids any legal issues that may occur in relation to their studying abroad by assisting them to obtain visas and other related immigration documentation. He/She must prepare all fee quotes and any information required by clients, colleagues or authorities. He/She maintain strong working relationships with all clients and colleagues. He/She must be able to help the client to obtain Visas, Green cards and other documentation required. The Visa Processing Officer must oversee all aspects of the Visa and Immigration Service, ensuring that the process runs smoothly. He/She must interview all clients and deal with all applications face to face and by post to ensure that the client is suitable. The Visa Processing Officer must ensure that all of the information provided by the client is accurate and correct, preparing and checking all legal documents. The Visa and Immigration Consultant must be able to work to tight deadlines even when under pressure, whilst still being able to provide a high level of customer service. You must be proficient in Microsoft Office and any other software related to Visa and Immigration Consultancy. 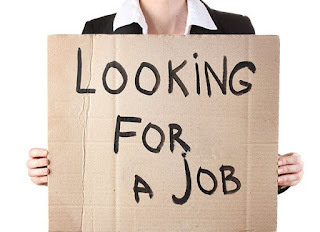 Minimum Qualification: HND/B.Sc in any Discipline and qualifications relevant to Visa and Immigration Consultancy. The Visa and Immigration Consultant must be motivated, energetic and able to work as a part of a team. The Visa and Immigration Consultant must have strong communication and negotiation skills as the job is centered on communication with the client, colleagues and authorities. Interested and qualified candidates should send their CV's/Resumes (with their valid addresses and contact numbers included) to: careers@pruviaintegrated.com The subject of your application should be the "Job Title". Must know to how drive and possess a Driver's License. Pruvia Integrated Marketing Executive Recruitment. The candidate will be responsible for providing services to clients' & selling the Organisation's Product. Application Deadline: Yet to be communicated. NYSC 2018 Batch 'A' Mobilisation Schedule. National Youth Service Corps, NYSC - All Nigerians prospective corps members who have graduated from Universities and Mono/Polytechnics both at home and abroad that the NYSC Online registration portal will be opened from Monday, 26th March - Sunday, 8th April, 2018 to enable them register for the 2018 Batch 'A' Mobilisation. Foreign-trained graduates who registered for Exemption Certificate shall present all their academic credentials and international passport for physical verification when they come to collect the certificate at the National Directorate Headquarters, Abuja. All foreign-trained graduates who registered and are excluded from service should also present academic credentials and international passport at the NYSC NDHQ, Abuja for physical verification before Exclusion Letters are printed online. verification when they come to collect the certificate at the National Directorate Headquarters, Abuja. All foreign-trained prospective corps members who registered but were not called up for service in the last batch should log on to the NYSC portal to re-validate their registration. This category of persons need not pay N3,000.00 (three thousand naira) again. Anybody who presents any fake document will be demobilized, decamped and handed over to the security agency. First Degree or Higher National Diploma (HND) Certificate (Second Degree or Ph.D. not necessary). Holders of Higher Diploma Certificates are not qualified to register. Prospective corps members should ensure that they have functional email addresses that they can access and Nigerian (GSM) telephone numbers with which to register. Such e-mail address and phone number must be maintained throughout the service year. Locally trained prospective corps members are expected to use correct institution matriculation numbers to register. For locally-trained graduates, only those whose names appear in the Senate/Academic Board Approved Result lists submitted by their institutions will have access to register on the NYSC portal. Graduates with dual nationalities are required to ‘upload Personal Data Pages of both international passport and present the passports for physical verification at the orientation camp. It is the responsibility of the prospective corps members who studied in non-English speaking countries to get their Certificates and Transcripts translated into English language before uploading. The translated transcripts and certificates should also be presented for physical verification. All graduates of Medicine, Veterinary Medicine, Physiotherapy, Radiography, Optometry, Medical Laboratory Science. Nursing and Pharmacy are expected to have their Certificates of Registration with their professional bodies and upload same on the portal. Payment receipts are not acceptable. Foreign-trained graduates seeking mobilization for national service should not visit NYSC Headquarters, Abuja for physical verification of their document. The exercise wl be done at the orientation camps. They are to print their call-up letters online and report at the orientation camps in their states of deployment. Foreign-trained graduates are expected to go to the camps with the original documents they uploaded for verification. Only prospective corps members who want their call-up numbers sent to them through SMS and wish to PRINT their call-up letters online are expected to pay the sum of Three Thousand Naira (N3,000.00) (see NYSC Portal on how to make payment). Prospective corps members who do not want to p the N3,000.00 have the option of going to their institutions to check their call-up numbers and collect their call-up letters. All prospective corps members who had paid for the online registration before but were not mobilized need not to pay again. A married female prospective corps members (whether locally or foreign- trained) should upload copies of their marriage certificates, evidence of change of name and their husbands places of domicile during registration. The orientation camps are not ideal for pregnant and nursing mothers. Prospective corps members in this category are, therefore, to note that they will not be accommodated. All part time graduates are expected to register online and immediately print their exclusion letters on payment of Three Thousand Naira (N3,000.00) only. Note: Once the portal is closed on Sunday, 8th April, 2018, there will be no further registration. Application Closing Date: 7th April, 2018. Elevantix Consulting Limited need a dynamic go-getter and a team player who will contribute to the success of your team, your department and your company, if you think you are fit for the job,then apply for this role today. Develop direct and indirect sales channels by coming up with appropriate plans and measurement tools which will grow the company's volume, raise its profitability and increase the market share of its brands. Applicant must have a Minimum of 6 years in Sales; preferably in the carbonated beverages industry or similar. He/She will lead the commercial operation of a designated territory within a region. Interested and qualified candidates should send their CV's to: recruiter1@elevantix.com Using "Regional Sales Manager (Location)" as the subject of the mail. Vantage Stream Multi-Trust Limited needs young men and woman who are capable of handling the position of a Business and Sales Manager in the organization. Vantage Stream is a newly incorporated Company registered with Corporate Affairs Commission in September 2017 to conduct related business activities. The Company has been providing personal loan advances to staff of reputable organizations who are gainfully employed. Application Closing Date: 29th March, 2018.
the reason why Vsm Loan is employing Business and sales Manager is to promote it's products to corporate individuals who are gainfully employed. 2 years working Experience in marketing with a micro finance bank will be an added advantage,and should be willing to represent the company in any African country, with a minimum qualification of BSc.